Click here for maps, research projects, information cards, and more. 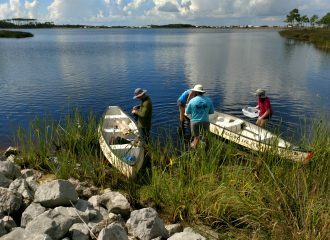 What is a Coastal Dune Lake? Coastal dune lakes are bodies of water found in dune ecosystems within two miles of the coast. They’re typically shallow and irregularly shaped. Coastal dune lakes are usually permanent water bodies, but their water levels fluctuate substantially since they create transitory interchanges with the Gulf of Mexico. Read more What is a Coastal Dune Lake? Where can I access the lakes, and how can I use them? 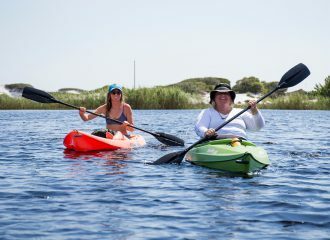 Click here for an access map and a variety of recreational activities for the coastal dune lakes. Read more Where can I access the lakes, and how can I use them? 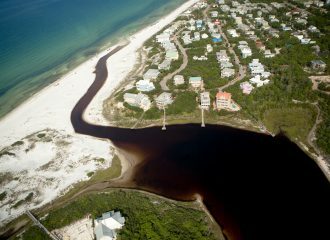 The Choctawhatchee Basin Alliance has partnered with Walton County and other concerned citizens and organizations for over a decade to monitor, investigate, restore, and educate people about the coastal dune lake systems.